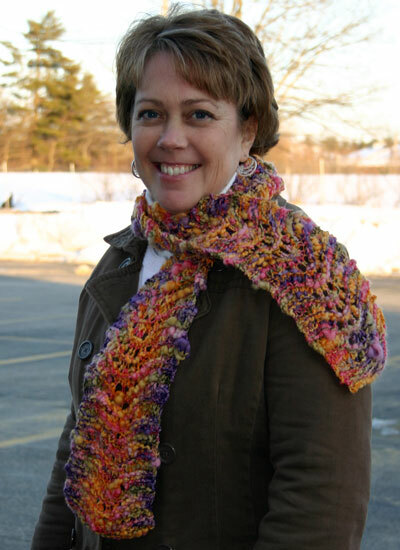 This adjustable cowl drapes beautifully, and is wonderfully soft and lightweight. 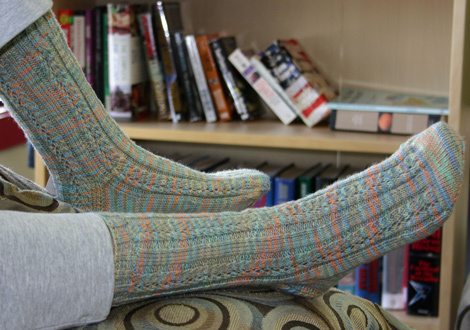 The stitch resembles woven fabric and is knit as a simple rectangle. Crochet flowers and loops or I-cord and buttons are added as fasteners. 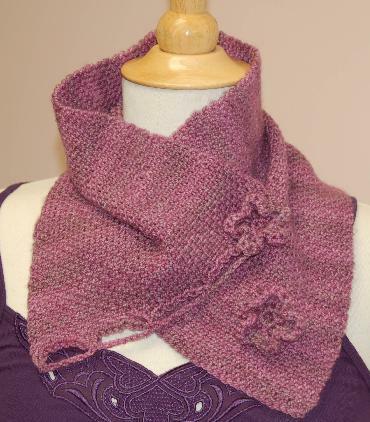 Sample is shown in Colorway Black Raspberry. Finished Dimension: Approx 24 x 8 inches.